Only few days are left for Christmas and every designer that we saw today is busy in designing banners, backgrounds, layouts, logos etc for their clients based on Christmas theme. Therefore we thought we should give them a hand by posting some awesome Christmas Photoshop Brushes that will help them in their designs. These Brushes have snowflakes, gingerbread, ice, ornaments, snowman and many more.. Check out the collection below and enjoy this holiday season. Holidays Season early here at Photoshop Free Brushes. Just in case you want to already start working on Christmas-themed designs, here, we are releasing our second set of Christmas brushes composed of Christmas balls. 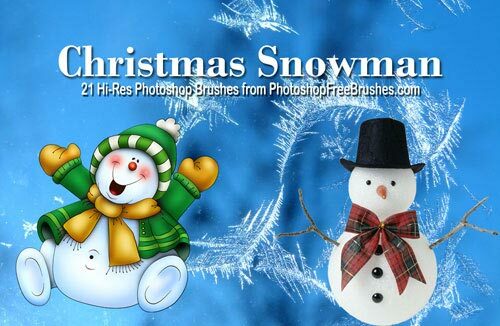 Here are 12 rather large Christmas themed brushes for Photoshop. They were made using CS3 from stock photos. Please do not redistribute or claim as your own. Other than that use them as you wish. Twenty-four individual snowflakes, as pictured on the preview, with four variations to each. Each has a single-stamp version at 100px (pictured), a single-stamp version at 35px, and a scattered version for each of those two sizes. Created in and for Adobe Photoshop. Here’s a few Christmas handmade brushes.I draw them first then scaned and here’s result,i hope u like them.And please show me how u used them i really want to see. Created in Adobe Photoshop CS3, these Photoshop brushes have resolution of 2000 pixels wide and should work with any CS version of Photoshop. There are a total of 18 brushes in this set. Each brush has a resolution of around 1700 to 1900 pixels. Created in Adobe Photoshop CS3, these brushes should work with any CS version of Photoshop. Various images of snow and snowflakes. This includes various flakes in different shapes, but some of them are patterned, some are vector style, some are crocheted, there’s some scattered flake shapes, as well as some made to look like real snow that you can add to any scene to make it look like it’s snowing! Christmas Ornaments Brushes for PhotoShop. This set of Christmas Photoshop brushes consists 21 brushes and created in Photoshop CS3 so we assume this set would work with any CS versions of Photoshop. The resolution of each Photoshop brush is also set at 300 to 2500 pixels. It is never to early to think of Christmas and with these Photoshop brushes rendered in Bryce you can create lovely Christmas images and dress up your holiday projects. 9 brushes for photoshop CS3. Different Christmas decorations. Included in the master pack are Christmas backgrounds, snowflakes, hand drawn angels, Xmas borders, cross, Xmas elements, Jesus, praying hands, Santa and Xmas tree. 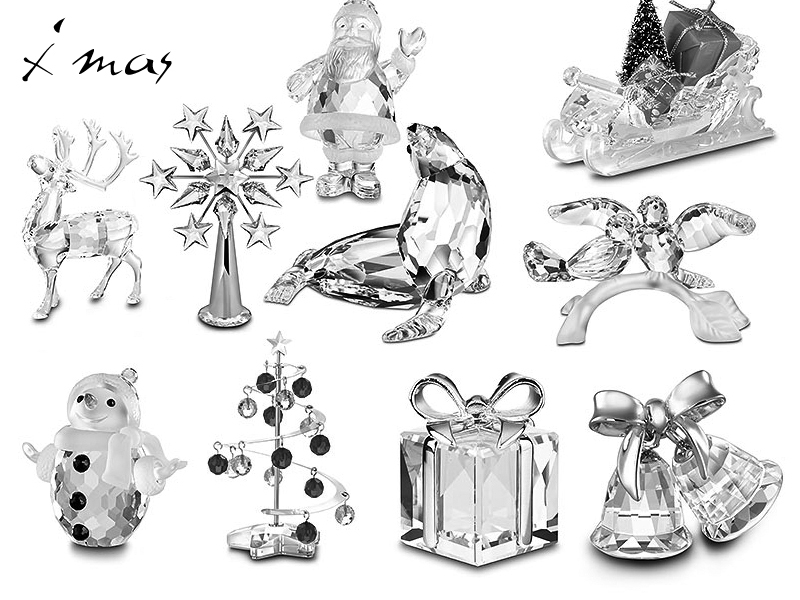 it contains 15 crystal christmas miniatures. no image pack available simply ‘cos i’m too lazy to do one. Christmas tree is one of the most popular Christmas symbols. I assume many of you are looking for Christmas tree clip art that you can use in your design projects. It’s almost Christmas. Here are some ornaments that I made. Hope they come in handy. Rendered in Bryce for a unique touch; some nice ornaments to dress up your holiday projects.